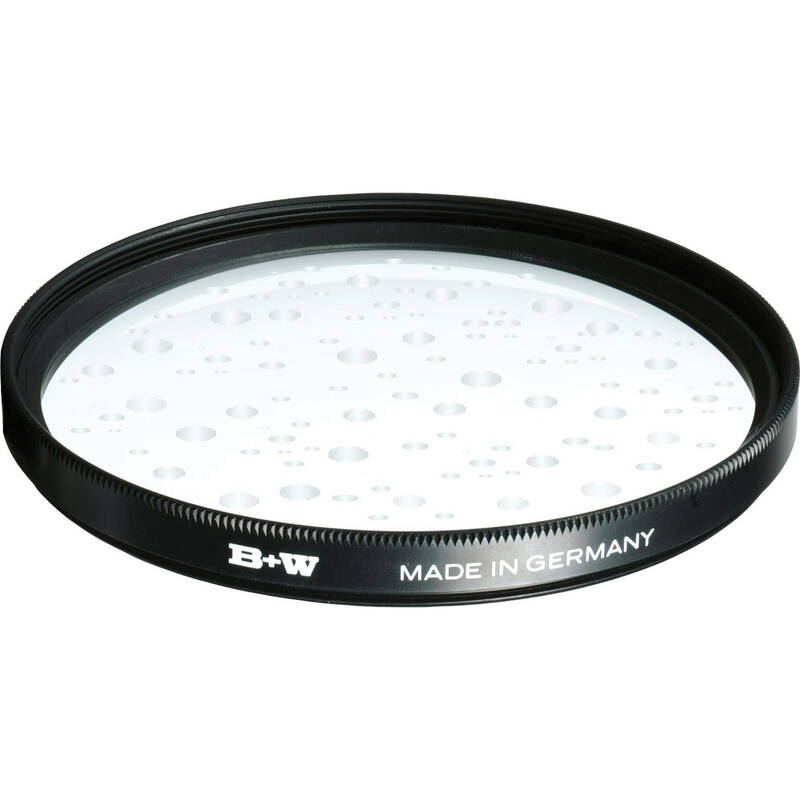 The B+W 40.5mm Soft Pro Filter can be applied to purposely reduce the appearance of blemishes and wrinkles in portraits or to apply a general soft-focus effect while maintaining overall sharpness. An array of small lenses distributed throughout the surface of this filter softens highlight contrast and reduces glare, which can be useful for creating a more flattering result of a subject. Additionally, a glowing effect around highlights is created which distributes ambient illumination to darker areas within a scene, helping to uniformly balance the tonal range among highlights and shadows. This can further enhance a subject's appearance or produce a desired effect while detail is increased within shadow regions. This filter is constructed from optical glass for clarity and features an F-Pro brass filter ring for durability as well as jamming prevention. Box Dimensions (LxWxH) 2.598 x 2.598 x 0.63"